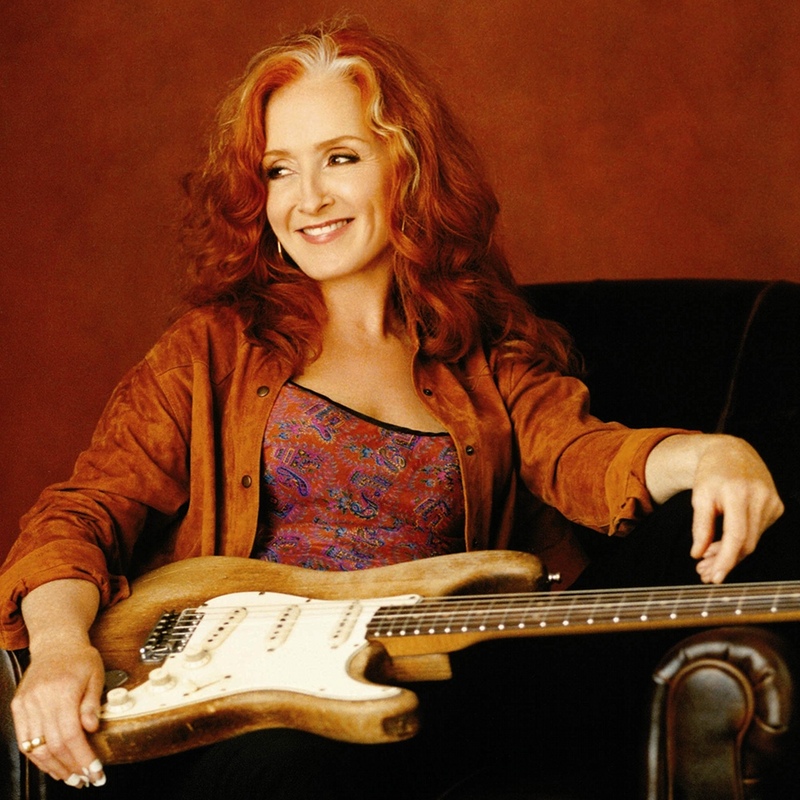 It was Bonnie Raitt’s birthday yesterday. She’s been playing the blues and entertaining us for over forty years. She’s a ten-time Grammy Award winner and is listed as number 50 in Rolling Stone magazine’s list of the 100 Greatest Singers of All Time. She’s also a terrific guitarist – number 89 on Rolling Stone’s list of the 100 Greatest Guitarists of All Time (although check out this list and see how much of it you agree with – some of the rankings are hard to fathom). Bonnie’s best known for her slide guitar, which she learned from Mississippi Fred McDowell, and is usually to be seen playing her Fender Strat – although she’s no slouch playing acoustic guitar too. Check out The Lost Broadcast, a recording of a performance for in WMMR Radio in Philadelphia in 1972, where she covers Robert Johnson, Sippie Wallace and Muddy Waters, as well as her own songs. It’s an absolute gem. Over the years, Raitt has stood up for various causes, notable the environment, musical education and development work in south east Asia. Her commitment to the blues heritage has been shown by her contributions to the funding of the replacement of a headstone for Fred McDowell and for Memphis Minnie, Sam Chatmon, and Tommy Johnson. There aren’t too many women in the Rolling Stones list of 100 Greatest Guitarists. This, it seems, is a man’s world, but when Raitt gets that slide going on the fretboard, there ain’t many better. Thankfully there are a lot more terrific women guitarists around now than ever before – one thinks straightaway of Susan Tedeschi, Carolyn Wonderland, Erja Lyytinene, Orianthi, Samantha Fish, Dani Wilde, Ana Popovic, Debbie Davies, Joanne Shaw Taylor, Cassie Taylor. If you don’t know any of these, go check them out.